Various studies have proven, time and again, that majority of the customers have a common complaint: organisations take up a lot of time to resolve their issues. This is one of the most critical matters when it comes to providing support and services to customers. 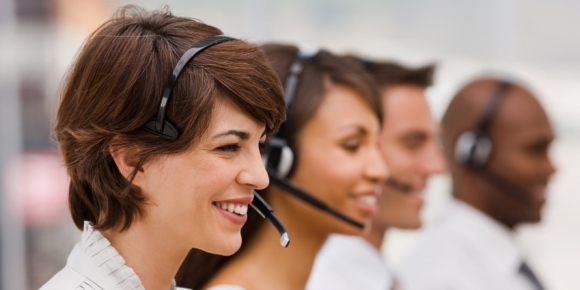 A significant contribution towards this is made by the call centre agents. They often have inadequate methods of sharing information pertaining to customers and the product offerings. This means that the agents will not be able to respond to the queries and problems of customers as it is expected out of them. Even if a service is delivered to customers they receive inconsistent levels of services varying upon the agents to whom they are put across. The biggest challenge which is being faced here is that the information is held within a channel which restricts the knowledge and details from flowing to other team members. This restricts a call centre in optimising its full potential creating a truly effective and multi-channel customer experience. A good knowledge management system is therefore, the best solution to this challenge. In order to efficiently manage call centre operations, the management needs to address the ways in which information is being shared and updated. An investment in the latest technology will ensure that agents are able to find all the information quickly. To simplify the process, agents can search through native language and this will essentially help them when they are trying to solve a customer’s problem in a live-call situation. Knowledge management helps in searching and collecting information from anywhere within an organisation and from any format. However, strong internal knowledge sharing is just a part of the entire story. Companies should continuously thrive to capture new knowledge about a customer. An organisation should leave no stone unturned in finding the source of this information. Companies should be able to keep a record of customer behaviour and history in real time, and then using this knowledge across all points of interaction. This means that whenever a customer would exhibit a certain kind of behaviour, it will spontaneously trigger a parallel response. All the information about a customer should be a blend of hard information (like name and address) and soft information (like spending patterns, product preferences). Integration of this information and sharing it across call centre and other mediums of communication, would ensure that customer is perceived in the same manner across all channels. This is extremely helpful in providing them with a personalised and consistent service. Managers need to learn to utilise customer’s information in the best manner. For sure the hard information can be easily utilised, however, it takes a certain level of expertise to optimise the data retrieved from the soft data. This data is really useful in segmenting customers in a more intelligent manner. This, in turn, improves the quality of customer’s interaction with the business. The major reason why call centres are suffering, when it comes to segmentation, is that they are doing all the work based on hard data and aren’t considering soft data. This is a big blunder as soft data offers a deeper insight into a customer’s behaviour and personality. Segmenting them on this basis would be of an immense help as the critical information about customer would be a much better option than segregating them on the basis of other not-so-critical factors. Once customer segments have been identified then call centres need to use a technology which will help them in updating which customers belong to which segment and that too in real time. This helps a company in reacting appropriately and timely to customers’ needs and preferences. As a customer interacts with company. Further information can be developed and updated accordingly. If such a technology is put to use then it will benefit the company tremendously in accessing a more detailed set of information about customers which will reduce the overall wrap-up time on calls thereby, reducing costs for business. Moreover, if a company is able to solve a customer query by the means of self-service through any medium, without needing any assistance from a call centre, this would dramatically reduce the time spent by call centre agents on handling queries. Additionally, this self-service would empower customers and make them feel more empowered and confident which would result in an increase in their satisfaction levels. In today’s competitive world, companies need to work on attaining an overall view of their customers so that they are able to provide them with a superior service. Managing and integrating knowledge across multiple channels is a sure shot way to ensure thatreliable call centre is ahead of its league, while lowering the costs.